As a popular vacation destination throughout the year, where numerous events feature headlining artists every single weekend, it’s hard not to love Miami. With over 15 beaches, 24-hour liquor licenses in the downtown area and delectable food that highlights the area’s strong Latin roots, Miami is truly a one of a kind getaway. 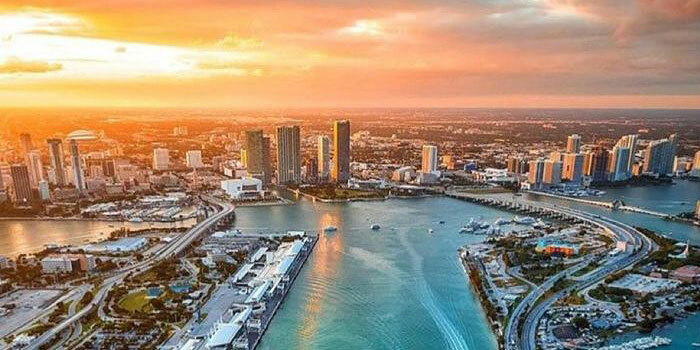 Breathtaking scenery, tourism and the footprints of millions of immigrants are tied together by the diverse and rich history that has crafted Miami into a melting pot of cultures and influenced the city’s music scene. Having truly established itself as a worldwide congregation to celebrate all music, old and new, Miami brings together top-charting tracks, underground credibility and all of the genres in between. The wide spectrum of music culture in the city enables everyone to find their niche, whether it’s a dark & intimate club setting that they seek, or a wild and packed crowd at a music festival. From luxury hotel pool decks, to remote beaches on nearby islands, mega-yachts specially equipped for parties and open-air venues that host pop-up events, Miami houses settings that cater to nearly every type of event imaginable.Decades of blossoming genres and a lush background story highlight Miami as the ultimate electronic music destination for music lovers across the globe, a city whose extensive musical history gives rise to a transformative experience every year during Miami Music Week. For nearly 4 decades, Miami has been locked in an ongoing love affair with electronic music, but well before 808 bass lines and confetti reigned supreme, numerous landmark events in The Magic City decorated the timeline of pop-culture. Nirvana, The Doors, The Beatles, The Who and far too many more musicians than we have time to list made headlines while under the spell of The 305. During the 80’s and 90’s, as disco gave way to the sounds of house, hip-hop and freestyle, Miami introduced the world to a new genre of music called Miami Bass. Pioneered by artists like 2 Live Crew, Poison Clan, Freak Nasty and 69 Boyz, the genre, also known as Booty Music, forever engraved itself into the city’s culture and arguably became the sound of a decade. During those same years, two Miami residents would begin collaborating together on a project that ultimately proved to be a crucial milestone in the development of the city’s dance music scene. Introducing House Music to Miami through a record label and production group called Murk, Ralph Falcon& Oscar G pioneered a percussive, Latin & Afro-Cuban sound that ultimately put Miami on the world’s House Music map and gave birth to the scene that still dominates Miami today. Settling in almost 19 years ago, Ultra Music Festival began planting its roots in Miami, but no one knew that this beach party in 1999 would evolve into the revolutionary worldwide phenomenon that it is today. As dance music fever began to spread across the USA, ULTRA’s reputation for exposing audiences to festival production of the highest caliber led to exponential success year after year. Facilitating an absolutely intoxicating atmosphere of positive vibes, the festival eventually established itself as a musical landmark in the USA. Word spread and thousands turned into tens of thousands of diehard dance music fanatics journeying to Miami from all ends of the earth to attend the festival that rivaled its European counterparts. Ultra had become known as the start of the global festival season. Miami’s pride & joy soon exploded into countries near and far, producing events in 5 continents annually and cemented its status as the world’s most internationally successful dance music brand. Now, Ultra Worldwide’s crown jewel, Ultra Music Festival in Miami, serves as the portal through which DJs, both local & abroad, annually showcase their craft by debuting their latest music to the world and effectively transform Ultra Music Festival’s birthplace into a home for the evolution of dance music. Every year at the end of March, the brightest talents in the industry converge in Miami for one week, allowing those who are infatuated with the artistry of dance music to cherish and rejoice in it. Headlining artists representing every genre and subgenre of dance music overflow into the 250+ venues that comprise the city, paving the way for up and coming artists and saturating the city with new music. While commercial hits dominate the mega-clubs scattered throughout the city such as LIV and Story Nightclub, venues specializing in the underground spectrum of things like Trade Miami, The Electric Pickle,and Treehouse serve as a second home for those who hunger for a taste of deeper & more complex styles. Ranked as the #2 Best Dance Club in America by Rolling Stone, LIV represents the perfect pairing of an exclusive VIP lounge setting while maintaining its status as a high-energy nightclub. Alluring its attendees with remarkable talent every single week at the historic Fontainebleau, the iconic venue sets a worldwide standard for an impeccable nightlife experience. Meanwhile, clubs like South Beach’s Story set the bar by providing a state of the art sound system, top notch visuals, mind-blowing lighting and sophisticated production that creates a vibrant music experience sure to leave even the most judgmental music snobs walking away with that all too rare sense of awe. The true essence of Miami’s club scene, however, lies in the tucked away venues where small spaces resonate a one of a kind experience. Obscure music has snaked its way into the heart of Miami, spawning an abundance of underground haunts and attracting music enthusiasts from around the world who thirst for deeper shades of the music that they adore. Fans who seek the many faces of Techno often find themselves grounded within the walls of Trade Nightclub, where attendees are greeted with proper vibes set within a dark atmosphere and the type of sound system that will leave you gasping for air in the best way possible. Those in search of a more personal experience immerse themselves deep within the walls of venues like The Electric Pickle,Do Not Sit On The Furniture and Treehouse, where the world’s most respected DJs & producers frequently spoil Miami with legendary performances inside their intimate spaces; a treat that many who live outside of Miami rarely have the opportunity to enjoy. Fueled by their passion for music, the people in Miami don’t sleep, or so it seems. Venues residing inside the labyrinth of downtown Miami like Club Space, Heart Nightlcuband E11even cater to after-hours, thriving on those who go beyond the wee hours of the night. While each venue sets itself apart from the rest through defining characteristics that have been painstakingly crafted over many years, they do share one thing in common: without them, Miami wouldn’t quite be the same. Known for their frequent marathon events that are famous for lasting more hours than you can probably endure, Club SpaceandHeart Nightclub each nurture their own dedicated fan base by providing carefully curated lineups that feature forward thinking music from some of the most in-demand talent in the scene. Like two different but complimentary notes struck from deep within the soul of the same minor chord, the venues reverberate together loudly throughout every corner of Miami in poetic harmony. Those listening hear the undeniable pulse that emits from the beating heart of Miami’s underground, a vibration that over time has shaken the earth down to its core drawing connoisseurs of electronic dance music like hungry moths to a flame. E11even, their neighbor, claims the status as Miami’s only venue that operates 24 hours a day, 7 days a week, 365 days a year. Music aficionados and partygoers alike revel in the opportunity to indulge all 5 of their senses at sunset or sunrise any day of the week. This $40 million award winning 20,000 sq ft monument to hedonistic delight features Cirque-style performances, aerialists, 5-star hospitality, a delectable food menu, Funktion-One Resolution 6 sound and special guest artists that not only include world-renowned DJs, but also icons like Drake, Jamie Foxx, P Diddy, and more. Yet, even still, amidst the tangle of complimentary locations and contrasting genres lies another layer of musical exploration within the web of Miami’s musical landscape. To the North of Downtown, and separated by a distance of only a few blocks is an area that lends itself to the pursuit and execution of artistic endeavors. Over many years, the city’s insatiable hunger for art and creativity led to the beautification of an area that was previously run down. This district, now dedicated to hundreds of visionary murals, now displays the deep artistic roots that are ever-present within the tucked away areas of Miami. Wynwood, now one of the highlights of Miami, serves as a true exhibit to the craftsmanship of Miami’s artists. Marked with graffiti, the rustic urban aesthetic of the area has encouraged the birth of a new breed of events: pop-ups. Embodying the creativity that the Wynwood district identity is built upon, events such as those located at Mana Wynwood and the RC Cola Plant provide some of the more unique music discovery experiences. Enhanced by the tangibly raw & organic energy that flows through the city streets, this area of Miami is widely considered to be the creative epicenter of The Magic City. Simply put, Miami has it all. It has invented its own style that is truly one of a kind and impossible to mimic. Whether you’re only beginning to fall in love with the world of dance music, or have been irrevocably seduced by the scene already, Miami not only becomes a refuge for those who seek it, it also becomes home. As a well-rounded city with a dense culture, it represents the pinnacle of many music lovers’ bucket lists. Every year, enthusiasts of the scene who seek to be consumed by that special one of a kind “something” which is unique to Miami alone, flock together to experience the life-changing energy that floods the city during Miami Music Week. They crave to be suffocated by the music, blinded by the lights and to move in one cohesive motion with the crowd; becoming one in the adoration of the artistry of music. 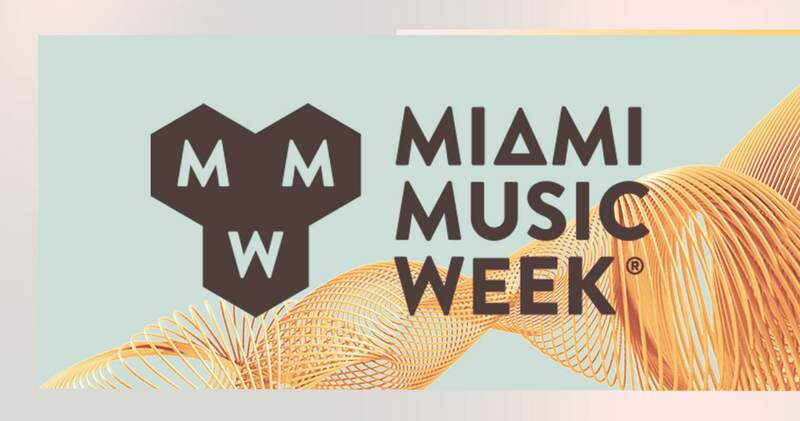 Every year, as Miami Music Week draws to a reluctant close and the last record is spun, the excitement of those departing continues to linger throughout the airport terminals of a city that eagerly awaits their return. Bittersweet memories of a life well-lived replay in the minds of all who joined together in this most thrilling ride. Strangers are now friends, a global dance family and testament to the power that brings together individuals of differing cultures through their shared passion for the one uniting force; music.